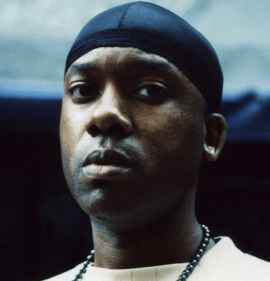 Hailing from the South Bronx, Patterson Projects, Percee was known for his lyrical wizardry after his rap battle between Lord Finesse (DITC) who later had him featured on 2 songs from the Return of the Funkyman album. Percee also attended LaGuardia HS during the same time as Organized Konfusion in which they were featured on Lung Collapsing Lyrics. Percee was also nominated Verse of the Month by the Source. He later became well known and respected by the NYC underground rap scene as he sold his mixtapes in front of the now defunct Fat Beats store. Percee was recognized by Jurassic 5 who later featured him on A Day at the Races, in which led to his meeting with Stonesthrow Records in which they signed him to an album deal. One of the dopiest mc's of all time based on not a huge amount of material but every rhyme is killer, he rides the beat like no other.